Oktoberfest, the fast cars in the BMW Museum or the famous Allianz Arena, home of FC Bayern Munich, are the highlights of the Bavarian metropolis. 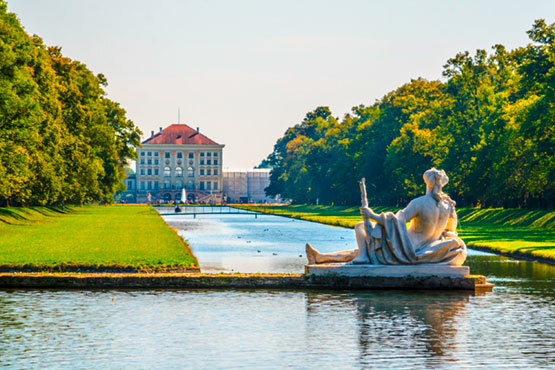 But Munich has much more to offer: For example the cozy atmosphere on the Marienplatz during the Christmas market or the Nymphenburg Palace, the birthplace of the fairy tale king Ludwig or one of the well-known museums such as the German Museum, the Egyptian Museum or the Pinakothek. And go on a culinary journey of discovery, because the selection of delicious food in Munich goes far beyond weisswurst and pretzels. Munich - Airport Franz Josef Strauss– hotel or vice versa. Private taxi 1-4 persons or Executive car 1-3 persons or minibus 4-6 persons.